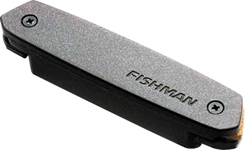 This value-priced cousin of the award winning Rare Earth pickup shares the same neodymium magnet structure for exceptional string balance and sparkling acoustic clarity. The Neo-D's low-profile, high-impedance design needs no battery. Play right out of the box with no alteration plug. Fits in soundholes as small as 3-7/8 inch. diameter.